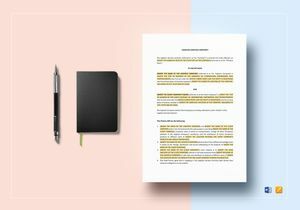 Create customized legal Agreements with Easy-to-edit, Print and shareable Templates in ipages and Word formats. In today’s modern business-oriented world, legal agreements and contracts have become very detailed and placed on writing to ensure all contracts and agreements are being honored by both parties. Gone are the days when verbal agreements were the norm and agreements were sealed by a handshake. 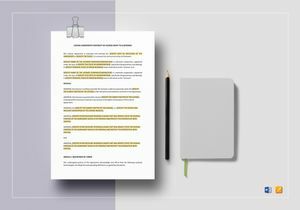 Due to the rise of the threat of litigations, most companies nowadays put all contents on agreements and contracts in writing and these are even notarized for legal purposes. 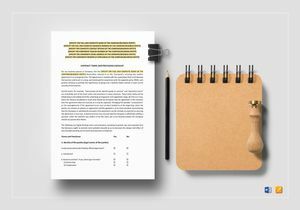 At Best Templates, we offer you Industry-Compliant, Well-Researched, and Professionally Drafted Business and Legal Documents purposely created for the specific needs of the industry. Contracts and agreements have become very precise and comprehensive these days and every effort is done to ensure both parties understand all the relevant contents completely. Besides being detailed, contracts and agreements need to have a benchmark to make them legitimate. 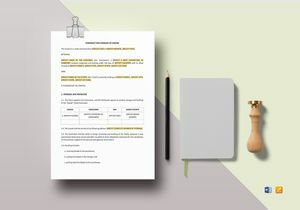 In the presence of a contract, most parties adhere to their respective agreements, so a majority of them never come into conflict with each other. However, if it so happens that one of the parties believe the other has breached any of the agreements, a lawsuit can be brought up against the offending party. This is primarily the reason why legal agreements and contracts are being produced in the first place: To protect both parties and to determine who is in breach of the contract once litigation is being made. However, the court will only settle the dispute if the contract or agreement is valid. Offer, Acceptance, and Mutual Consent - These three things must be present to ensure both parties have willingly agreed to and accepted the terms with the intention of each party committing to each other’s obligations stipulated in the contract or agreement. Consideration - There has to be financial considerations for services that translates to both the offering and receiving party being able to benefit from each other. Competence - This means both parties must be competent enough to understand and fulfill the obligations requested from both of them to honor the agreement or contract. It’s important to keep in mind that the contract or agreement must have a legal purpose. While it’s not illegal to enter into a contract without the elements mentioned above, the court also cannot enforce a ruling without these essential elements and the contract or agreement will become useless. 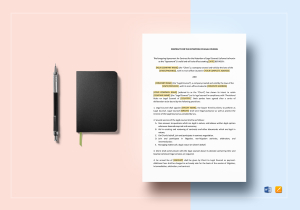 At Best Templates, we recognize how important Legal Agreements and Contracts are, that’s why we’re offering Outlined and Formatted Legal Agreements and Contracts Templates that are Fully Editable, Customizable, and Modifiable to fit any specifics in the contract or agreement. This can be done and available in most commonly-used software applications like iPages or Word depending on your preference. Our templates are also Very Affordable and Easily Downloadable. 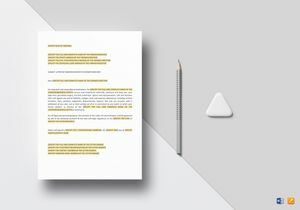 Once downloaded, they’re very Easy to Print and Share so you can review the draft with the other party in the agreement. Ease of Use means you can easily change the contents on short notice Anywhere, Anytime and Any day.